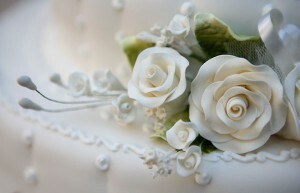 One feature that many wedding portals possess is the wedding website. 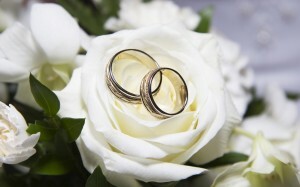 A wedding website is utilized to aid couples in planning their wedding events. From choosing the wedding date and picking of the venues down to the wedding caterer and wedding cake baker, everything is made easier to plan with the use of wedding website. Most of these websites provide updates of the latest trends in wedding planning through email. Through this updates, you get to know the latest trends in weddings Singapore themes, gown styles, bouquet arrangements, and many other Singapore wedding events related details. You’ll find all these updates useful as your planning progresses. However, though some Singapore wedding portals like Singapore wedding bliss offer free wedding website, others may require you to pay a certain amount. First and foremost, include your and your spouse’s name together with the date of the wedding, where the occasion will take place, and time the event will start. This info should answer Who, What, Where, When, and Why questions. Another essential detail that should be included on the site is the basic directions of the venue. It would be helpful to also include nearby landmarks, or display map link or attach neatly sketched maps. If yours is a destination wedding, or you have just invited relative and friends from faraway places, your guests certainly needs your help in looking for a place to stay. Links of hotel information on your Singapore wedding website could be the best thing you can do to help them out. People always ask the question “What should I wear?” in every gathering they attend to, same thing with your guests. Help them in figuring out what outfit to wear on your wedding by stating the theme of the event. Is it formal or casual? Should they wear cocktail dresses and coat and tie, or jeans and cowboy hat will fit more to your theme? Though including registry information on your invitations seems too blunt, a convenient portion of this detail on your wedding site will probably be appreciated by most of your guests. Since you don’t want to imply that guests are obliged to bring a gift, make sure to post the link discreetly. Perhaps, you can display at the bottommost part of the page, or post it as the only link in the secondary page. You may also include a short story of how you and your beloved other met. This can entertain your guests and make them feel excited for your big day. Though some people view it a bit informal, many couples in Singapore prefer the cost-efficiency and convenience of having their guests RSVP on their wedding site, instead of using response cards. Who doesn’t love photographs? Surely, your guests will appreciate seeing a couple of cute photos of you and your spouse – just don’t go overboard. No one would really take much time to browse through all 846 photos from your first Paris trip together.